I’d like to discuss a very interesting technique known as sidechain compression. What this method entails is the ability to control a compressor by the feed of another signal. 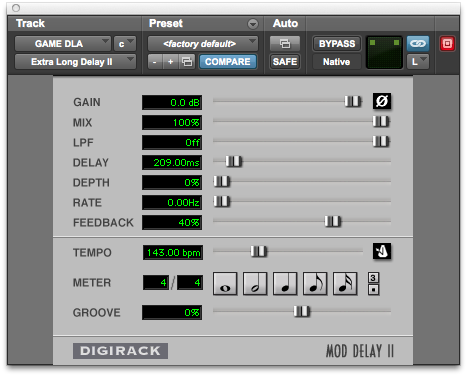 There are many uses for this in mix production such as using the transients of a kick drum to compress a heavy synth to create a pumping effect. 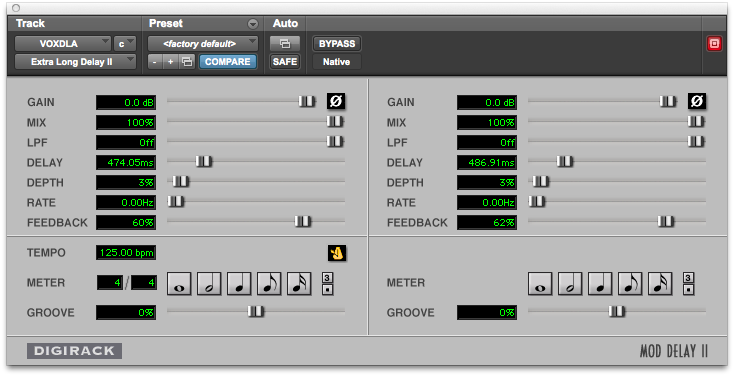 In doing this, each beat from the kick will compress the synth, squashing it down for a desired time, until the compressor allows the synth back up to level. 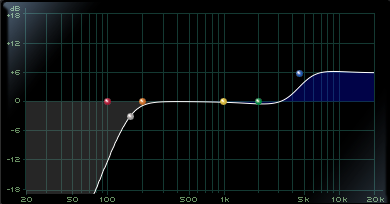 You will notice that the sound of your compressed signal may have changed. Experiment with the threshold first to find at what point the Send signal (KICK) is compressing the affected track (SYNTH). 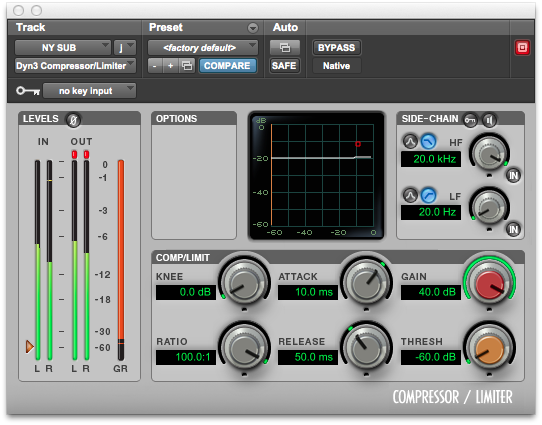 Play about with ratios, attacks and releases to find a desirable level of compression. 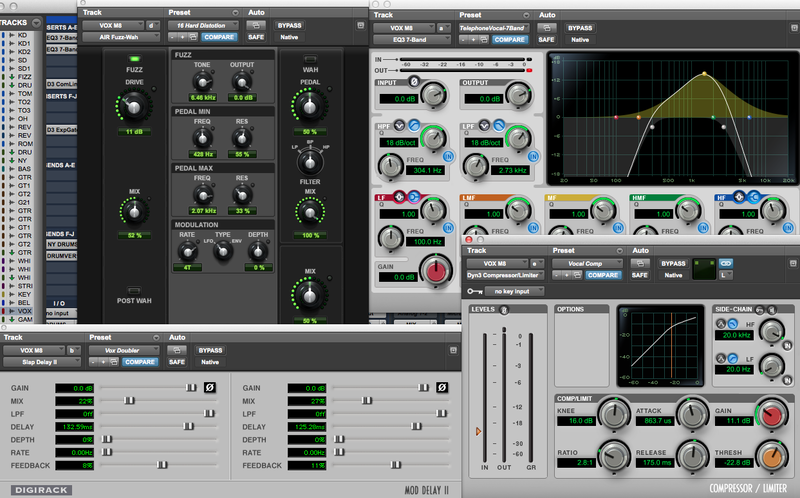 The affected signal can change dramatically with subtle changes to the plugin, so get used to what function serves what! The following examples are extracted from a session for my Production & Professional Practice module at Edinburgh Napier University. They are all associated with the track Word I Never Said – Lupe Fiasco, produced by Alex da Kid. 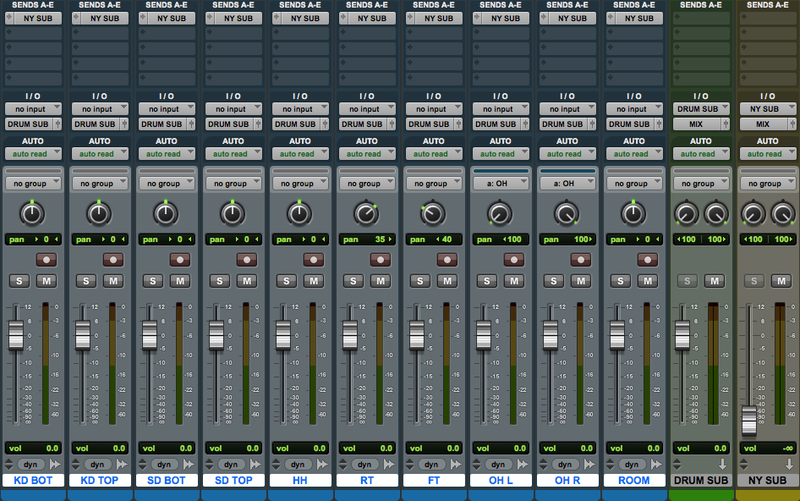 You can notice a definite change in the synth information. It becomes more dynamic, and for that reason it allows the beats to continue with their solid rhythm, as the range of the synth fluctuates. Hear when the drums are muted, you can sense the whole character of the synth has changed. It takes a lot of experimentation to reach a desired effect, and you need to make sure it fits the music – gimmicks will ruin a great track.